What disappointed you about Tomorrow War? The author's use of the [redacted] angle seems unnecessary and contrived. It really detracted from whatever he was otherwise trying to convey. I couldn't take it and stopped listening in less than 5 minutes. Refund please. This book doesn't deserve 2 stars, much less 4 or 5. 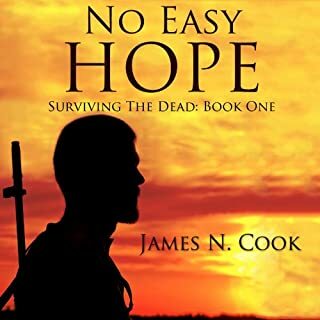 What was most disappointing about James N. Cook’s story? Having over 200 books in my library, I'm sad to have this be my first negative review. I love EOTW stories, but this book was horrible. Unfortunately, the narration was just as bad, so there was no saving this stinker. The narrator's choice of voices for the characters was extremely weak, and some of the female characters even seemed to have an OMG "valley girl" accent that made me want to stop listening. 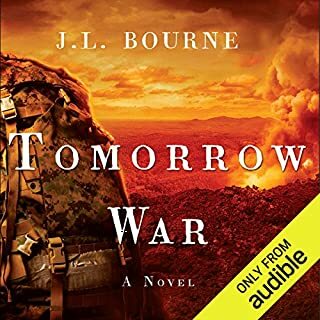 I'll be asking Audible for a refund on this one, and I'm definitely not going to waste any time or money on Book 2.